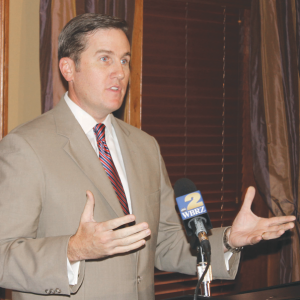 Dr. Clark serves as second vice president of the Louisiana Coroner’s Association. The Coroner’s office was created by the Louisiana Constitution as a parishwide elected office with responsibility for investigating deaths, forensic pathology services, mental health investigations, and sexual assault investigations. The event will begin with a reception at 11:30 a.m. The luncheon will begin at 12 noon. It is open to business owners, guests, and members of the media. Reservations are not necessary. Lunch is $17, payable to the restaurant. Lunch is complimentary for members of the media. The Chamber of Commerce of East Baton Rouge is composed of small business owners in the parish and is affiliated with the U.S. Chamber of Commerce.